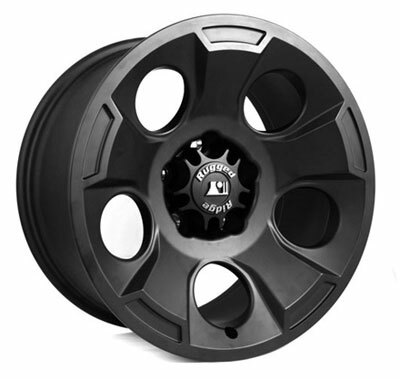 This Black Satin 17-inch X 9-inch Soft 5 design cast aluminum wheel from Rugged Ridge fits 07-18 Jeep Wranglers KL. It has a 12mm negative offset, 4.5-inch backspacing, and 5 on 5-inch bolt pattern. The Drakon Alloy Wheel by Rugged Ridge is a cast aluminum alloy featuring a truly unique appearance. 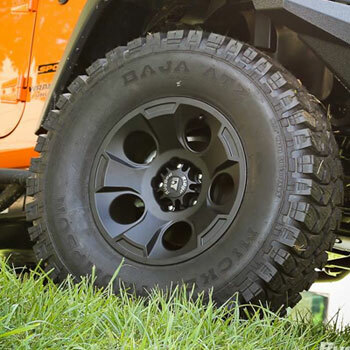 Purposed for the 2007-14 Jeep Wrangler JK, Drakon wheels are DOT approved, have a 4.53 inch backspacing, a 2200 lb. load rating, 5 on 5 inch bolt pattern and include a center cap. The hub-centric design means this wheel will center perfect every time. 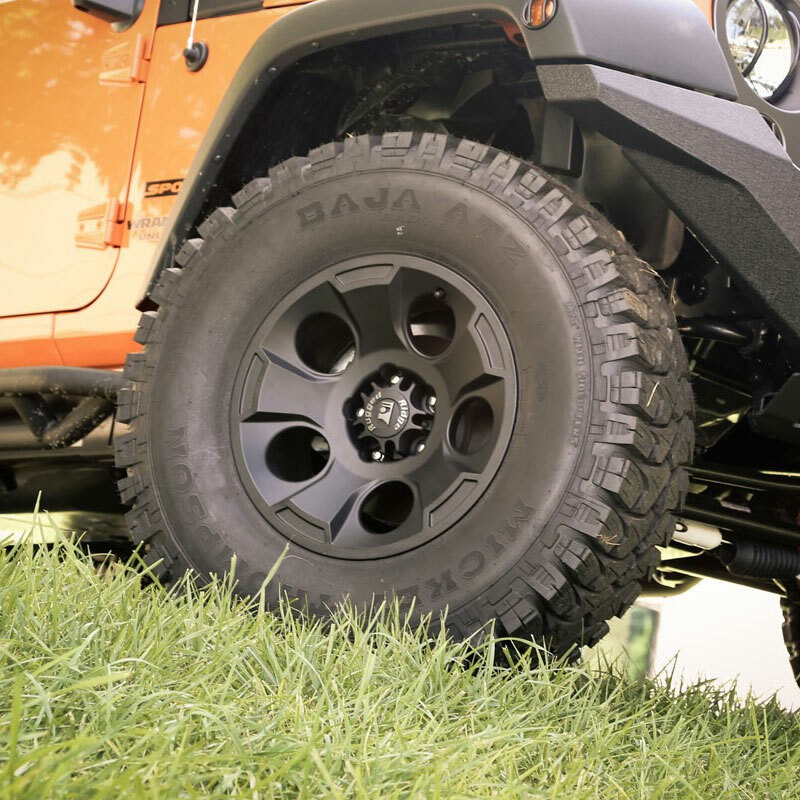 Bring the look of any JK to a whole new level with the Drakon Wheel. Rugged Ridge wheels have been independently tested and certified to meet/exceed SAE J2530 standards for wheel strength and durability. Limited lifetime structural warranty and 1 year finish warranty.